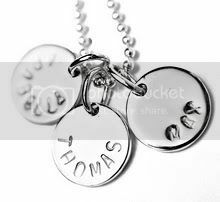 Wow, the mad rush is over all our orders for Mother's Day have been stamped and posted. We suspect there are going to be some very happy mums celebrating this Sunday with their very own piece from koolaman designs. In the last few weeks there have been many beautiful pieces from all of our collections, carefully hand-stamped with care by our experienced team of stampers, pass through the koolaman hub. The team has gone into overdrive to ensure all pieces arrive for those special and lucky mums in time for Mother's Day. On the topic of special and lucky mums, Stacey and I feel very blessed and lucky with our beautiful mother, especially this coming Mother's Day. We will not be around the children, but fortunately mum will be . The two of us are about to take a little break and who have we turne to, to help make this all possible? Our mum of course! We have being toying with the idea of a little trip for some time, but have only made it a reality in the last couple of weeks because our wonderful mum has stepped in to help out with coordinating the children. Yes, there are plenty of people who we can turn to to help us out, but like all mums that mother's guilt eventually kicks in. You question everything, you feel bad about putting others out, wonder if the children are going to be well cared for, what if something happens whilst I'm not around etc. But when mum said she was available to help the green light was given, the trip booked and off we go. There is nothing more reassuring than having mum look after the children. The level of comfort provided, knowing mum is near, is unexplainable. I think that's just the power a mum has. After all, she is the closest thing to being the mum without being us. In fact we think sometimes she is so close to being us, it's unbelievable! Perhaps it is the other way around though and we are more like her than we even realise. Actually I think that is it. There are so many things I find myself doing or saying now and I think "oh my goodness am I turning into my mother? I think so! At times I'm taken a back with shock by my own "mum like" admissions. I've even found myself saying out aloud "gosh I sound like mum"! Now we have children too, I think being like mum is evident more than ever. We have spent a lot of time with her, learned much from her and relied on her, so really why is it such a surprise. Maybe it relates to the fact that growing up and especially in the adolescent years the things mums say and do can be annoying. Whinging about her rules and regulations are common place. How annoying was it when you would hear your mum say "If you can't say something nice don't say anything at all (often associated with picking on siblings). Well I certainly find myself saying this to the children now, it is very common place. "Watching too much TV will make your eyes go square" really? But now I totally understand the importance of having the children active and not spending hours in front of the television. Oh and finally mum would really drive us mad with this one "Have some fruit" when complaining of being hungry. Fruit, why would we want that? I certainly understand it now, the healthy eating message is more important than ever, especially in a world where processed and junk food is so cheap and easy to access. Hindsight is a wonderful thing, but at the time when mum would insist on these irritating sayings, you would swear when you have children you will never be like your mum. You will never inflict those routines and sayings etc on your own children. But before you know it, your own children are here and bang you hear yourself sounding like your mum. You even catch yourself doing all those mum things you promised yourself you would never do. Why the change? Well now that we have the privilege of being mothers ourselves, it just seems the old adage "Mum knows best" is true. What mum knew and instilled in us growing up seems to have pointed us in the right direction, so I guess we are sticking to the same model with our own families. When you hear people say you never really know just how special mums are until you become a mum yourself, we could not agree more. Something about having your own children really gives you an appreciation of just how important a mum is in your life. So to all mums have a very wonderful Mother's Day. We know many people for whom Mother’s Day can be a sad day and our thoughts are with all of you too. A friend of mine, Jodi, lost her mum when she was 15 and here's her story of mothering without a mother. Thank you Jodi for sharing such a moving and powerful story. Oh and if you are to receive your very own piece of koolaman designs for Mother's Day, we'd love you to share by uploading a photo or comment to our Facebook page. Well it's time for us to fly, literally, we hope our little cherubs being beautifully cared for at home, don't miss us too much. Hurry there are only 3 days left for your chance to win a your very own koolaman designs PENNY PENDANT or a LIESEL BANGLE. Two lucky mums will be celebrating this Mother's Day with this great opportunity! Mum's Grapevine Magazine is running this fabulous competition and entry is simple. To be eligible make sure you are currently subscribed to the Mum’s Grapevine sales alert newsletter and have liked the Mum’s Grapevine Facebook page. Click here and you will be taken straight to the entry page for further information. So don't wait around, get moving and enter now. This could be your most memorable Mother's Day yet.